Karen Feeley serves the NSDA as Special Projects Coordinator; is the author of Easier Done than Said: Living with a Broken Voice; has been a presenter at numerous symposiums and Leadership Days. The award was initially announced via phone to Karen by the awards namesake, Dot Sowerby but recently, President Charlie Reavis was able to present it to her in-person(pictured above). Karen shared, "I'm thrilled to receive the award named after such an impressive woman and grateful to all the folks there who do so much to make a difference to so many. Our plans for 2016 include funding more research, hosting three Educational Seminars so we can reach more people, launching a redesign of the NSDA website and the implementation of the new database system, along with webinars to keep you updated and connected. You are the NSDA and we thank you for all YOU do! In the current issue of Our Voice, Kevin shares some insights on this project and how it impacted his journey with spasmodic dysphonia, "At the time, I was searching for my voice. I was searching for both a path to regain strength in my outer, speaking voice as well as a path to deeper connectivity with my inner voice-the essence of who I am. I believe both voices are connected and SD patients have a unique opportunity to make that connection due to the manner in which the disorder provides a chance to stop, think, and listen." 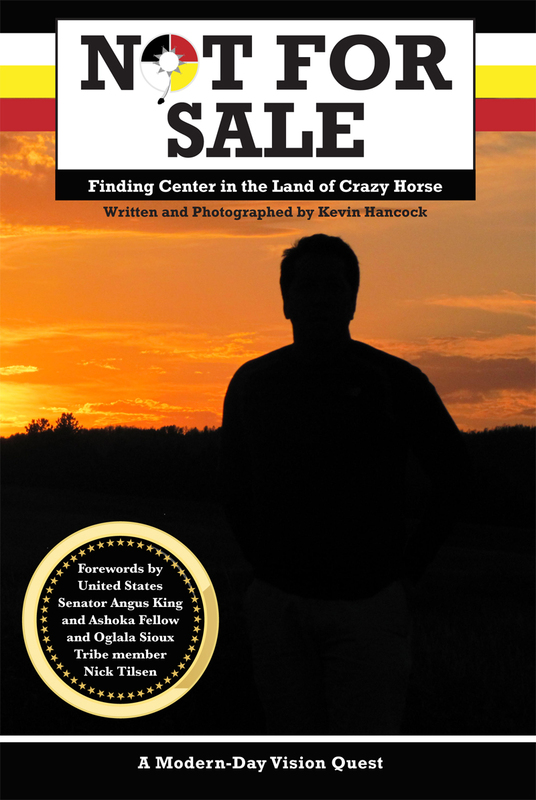 Kevin says, "My book explores the notion that we are all here on this earth seeking our own true voice. We all come from a tribe and that tribe pulls on us to act in certain ways. At the same time, each soul is here to individuate - to find its true callings - and, that is only possible when we transcend the busyness and momentum of our own tribes to listen to what our souls are saying. Spasmodic dysphonia is an invitation to listen. It took me quite a few years to realize this, and I doubt I ever would have learned this lesson without SD." Click here to read the full interview and learn more about his new book. Board member Dot Sowerby (right bottom) represented the NSDA at the American Speech Hearing Association Conference in Denver, CO. Joining her at the booth was Shannon Porter (pictured center with Dot) and Bill Dickerson. Chicago Support Group Leader Wendy Kerr along with Victor Chears and Executive Director Kimberly Kuman participated in a 2-hour class for Graduate level Speech Pathology students at Elmhurst College in Elmhurst, IL. Pictured bottom left are Wendy, Victor, and the professor for the class, Dr. Laura Froeschke. 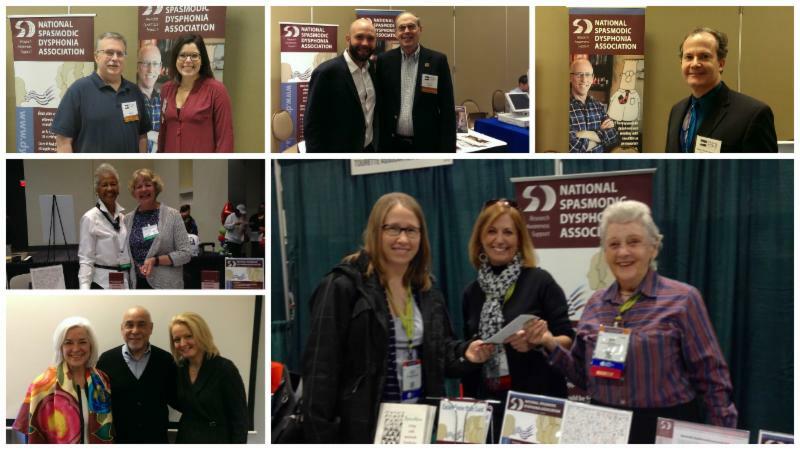 We thank all of our representatives who help educate and raise awareness about spasmodic dysphonia! This sold-out show was a fun and entertaining evening benefiting the NSDA and the DMRF. Paul Fowler has been instrumental in organizing these events because of his long-time friendship with Juice and his connection with Martini's Above Fourth where the event took place. Our thanks to Paul, along with Support Group Leader Martha Murphy, for all of their efforts to ensure another successful event! 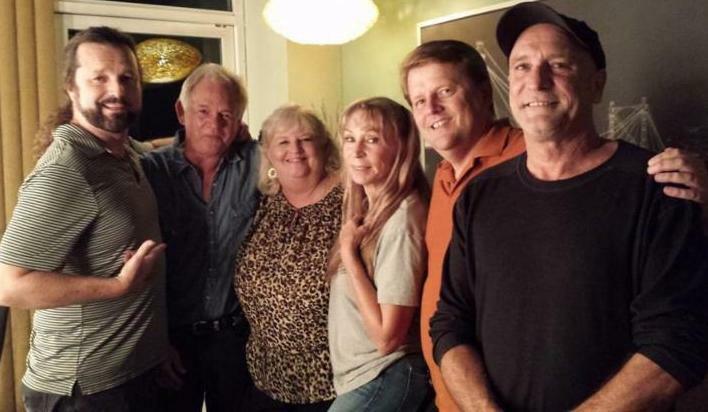 Pictured is Juice Newton (center) with Martha and Paul on either side of her along with her band. Besides Dot's age and athletic ability, she has a rare neurological voice disorder called spasmodic dysphonia (SD) which causes the vocal cords to spasm shut making communication very difficult. “Around the time I started running, I began having problems with my voice. At first I felt scared and panicky that I would never have a normal voice again. I remembered the running support group that fostered me, so I looked for voice support groups. It linked me up with the National Spasmodic Dysphonia Association. My friends in the voice support system encouraged me and taught me ways to cope and medical options to look into,” Dot shared. 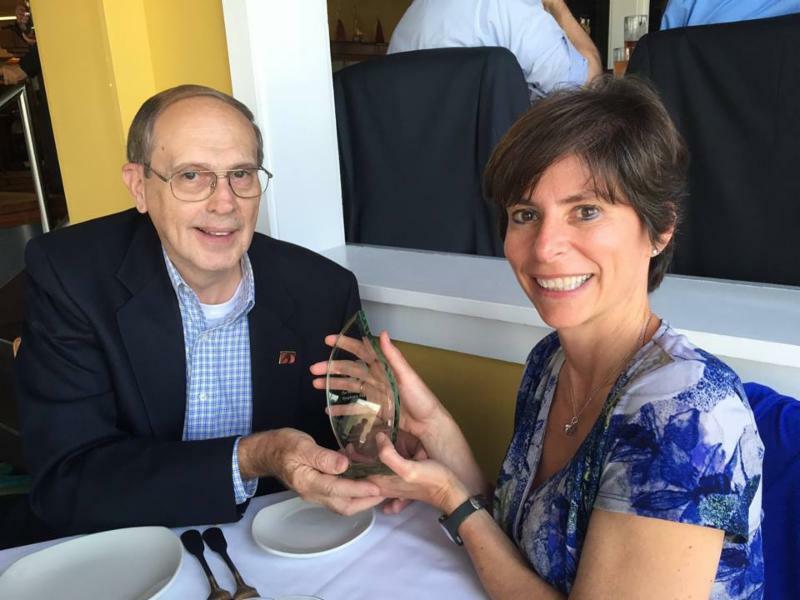 Dot was recently honored at the NSDA Symposium with establishment of the “Dot Sowerby Pioneer Award” to recognize her many accomplishments in raising awareness about spasmodic dysphonia. Once again, Dot pushes forward, utilizing this opportunity to help raise funds for the NSDA. Please join us in supporting Dot by making a donation to the National Spasmodic Dysphonia Association by going to www.dysphonia.org/donate.php and click on the "Please credit this donation to" and select Dot Sowerby's Senior Games Fund-Raiser. My early days of running were difficult but I persisted and slowly improved. I receive support from a local running group. There were not many females running in the 1970’s, as most women my age did not grow up participating in track. I eventually ran a half marathon (13 miles). Running helps me physically, mentally, and spirituality. When you run, you get endorphins, in your body, which makes you feel good. I also listen to music when I walk or run and feel like I get a “double shot” of endorphins. Life does not always give awards for overcoming challenges. My voice achievements are just as important as my winning metals for running. You can progress beyond obstacles in your life and try new activities. I hope others will be encouraged to keep moving forward! It has long been noted by patients and physicians alike that alcohol improves the symptoms in many patients with spasmodic dysphonia. However, this anecdotal finding has never been confirmed. Thanks to the NSDA community, we were able to survey 641 patients with isolated spasmodic dysphonia (SD, or laryngeal dystonia) and with spasmodic dysphonia combined with voice tremor (SD/VT). We found that more than half of patients in both groups thought that their voice symptoms improve to some extent after drinking alcohol. Patient’s family and friends also noticed similar improvement. The duration of effect of alcohol on voice symptoms was thought to last 1 – 3 hours in both patient groups. Although alcohol is an interesting and potentially powerful agent, the results of this survey study do not imply or recommend alcohol consumption in any form in order to treat SD symptoms. However, this information may help us, the researchers, to start thinking about new and alternative pharmacological agents with effects similar to alcohol in order to develop more efficient treatment options for SD and other dystonias. Laryngeal dystonia (LD) is a task-specific focal dystonia of unknown pathophysiology affecting speech production. We examined the demographics of anecdotally reported alcohol use and its effects on LD symptoms using an online survey based on Research Electronic Data Capture (REDCapTM) and National Spasmodic Dysphonia Association’s patient registry. From 641 participants, 531 were selected for data analysis, and 110 were excluded because of unconfirmed diagnosis. A total of 406 patients (76.5%) had LD and 125 (23.5%) had LD and voice tremor (LD/VT). The consumption of alcohol was reported by 374 LD (92.1%) and 109 LD/VT (87.2%) patients. Improvement of voice symptoms after alcohol ingestion was noted by 227 LD (55.9% of all patients) and 73 LD/VT (58.4%), which paralleled the improvement observed by patient’s family and/or friends in 214 LD (57.2%) and 69 LD/VT (63.3%) patients. The benefits lasted 1-3 hours in both groups with the maximum effect after 2 drinks in LD patients (p = 0.002), whereas LD/VT symptoms improved independent of the consumed amount (p = 0.48). Our data suggest that isolated dystonic symptoms, such as in LD, are responsive to alcohol intake and this responsiveness is not attributed to the presence of VT, which is known to have significant benefits from alcohol ingestion. Alcohol may modulate the pathophysiological mechanisms underlying abnormal neurotransmission of γ-aminobutyric acid (GABA) in dystonia and as such provide new avenues for novel therapeutic options in these patients. Adams spoke to the importance of resilience in his recently published book How to Fail at Almost Everything and Still Win Big: Kind of the Story of My Life. While addressing how to embrace and learn from failure in order to achieve success, Adams discusses his struggle with spasmodic dysphonia as a central theme in a lifetime of experience in overcoming adversity. The presentation was recorded and will be uploaded to view shortly. “I was shocked and so excited when Christie (daughter, 40's) and Matt (son-in-law) agreed to participate in the Bay to Breakers run/walk fundraiser on behalf of the NSDA. When they responded that they would do it if we could just watch our granddaughter (which was like asking kids if they want ice cream), we were overjoyed! Because the symposium is in San Francisco near home this year, they said that they welcomed the opportunity to support me and the good cause of the NSDA,” Jan shared. The race, Bay to Breakers, is the oldest consecutively run annual footrace in the world, a staple to the City by the Bay since May 1912. From the start of Jan’s SD journey, her children have always been there for her, from driving Jan to her first botulinum toxin injection appointment to continually being supportive and understanding. Jan shared, “Now that it's been 10 years since that treatment, I am so grateful for their readiness to support me and the NSDA, which was the other part of the lifeline that connected me to others with SD, to learn about it, make the most of it and to help others." Jan, her husband, Dennis Delgado, and their children will join us at the NSDA Symposium. For those of you who attended the first ever NSDA symposium in the Bay Area, you saw firsthand how NSDA founder, Larry Kolasa, masterfully encouraged donations from the generous attendees for Team NSDA in the Bay to Breakers Race the following day. Within fifteen minutes, over $3,000 was raised! Run/walkers, Matt and Christie Cervantes, in their NSDA t-shirts with a big, sparkly “S” on the back of one and “D” on the other (along with their darling daughter), were amazed by the outpouring and generosity of the SD community. By simply having the two participants pass the NSDA “Running for Research” hats around the room, these funds were raised for the NSDA. Sporting their NSDA shirts and hat for awareness, along with a pink tutu and polka dot socks by Christie to blend with the crazy, colorful crowd, they left the hotel at 6:15 by charter bus for the Embarcadero Hyatt starting area. The weather was overcast, comfortable and perfect for the event. The course was packed and to run required weaving or hugging the sideline, so they did a combination of walking and running together. They also met up with friends in the race from their town along the way. Amid the hustle and bustle, there were festive costumes of Superman, Speed Racer, Elvis sightings, giraffes, pirates and a 2015 bride and groom, to name a few that were not X-rated. Adding to the revelry were vans playing music along the way and fraternity house type parties on Hayes Street Hill, which was the steepest climb. As they entered the Golden Gate Park area, they actually spotted buffalo and llamas! Only near the Pacific “breakers” at the finish line was it cooler with the ocean breeze. They finished after 2 hours, said it went by fast, was fun and they were back at the hotel by 12:30 p.m.
Matt and Christie want to express their appreciation to the NSDA for the chance to participate in this successful fundraising event and being able to check the Bay to Breakers off their bucket list! And we thank you for your support! The meeting will bring together expert faculty to discuss the latest information on spasmodic dysphonia along with a very special Keynote Speaker, Dilbert Creator Scott Adams. In addition, it will provide an opportunity for people with SD to network and learn from one another. Click here for more information.